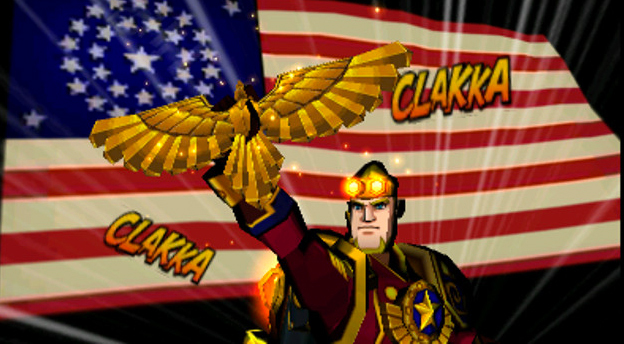 Abraham Lincoln faked his death to create a steampunk army of iconic, fictional characters to fight some really disturbing aliens and save the world with some of the most patriotic armor and equipment you've seen since BioShock Infinite. Does that sound interesting to you? Well, then you might be ready for some Code Name: S.T.E.A.M. Maybe. Code Name: S.T.E.A.M. is a tactical RPG set in an alternate reality where everybody decided steam was pretty great. It seemed to work out for them, what with the airships, neat weapons, and all. That is, until the aliens arrived. They hit London hard, and even tried to abduct the Queen. Fortunately, Henry Fleming and John Henry were picked up by Abe Lincoln, who saw this whole thing coming. The duo are quickly recruited onto the S.T.E.A.M. team and sent off to fight some aliens all around England and America. Keeping with its cel-shaded theme, Code Name: S.T.E.A.M. embraces the comic book motif. It meshes well with the outlandish premise, characters, and equipment peppered throughout the adventure. If something would make any sense at all, Code Name: S.T.E.A.M. doesn't need it! A cast of fictional characters? Sure. Weird weapons that involve penguins and bananas? Load 'em up. A mecha suit for Abraham Lincoln that looks like Honest Abe? It has its place here. Permit me to stop and discuss the Abe Mech. This is the worst element of Code Name: S.T.E.A.M., as it feels so out of place. Every few episodes, one is suddenly there. It feels like an excuse to use Abe, just because Intelligent Systems thinks people would have wanted to use him. There are other means in which he could have been implemented as a playable character, better ones that wouldn't involve a one to two minute flailing match against an alien that's barely a challenge. Quick Time Events require more skill than these bouts and are often more challenging to boot. 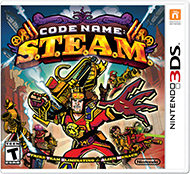 It's odd, because the other mechanics of Code Name: S.T.E.A.M. are so solid. Steam is used for movements and attacks, limiting progression and action on the field. 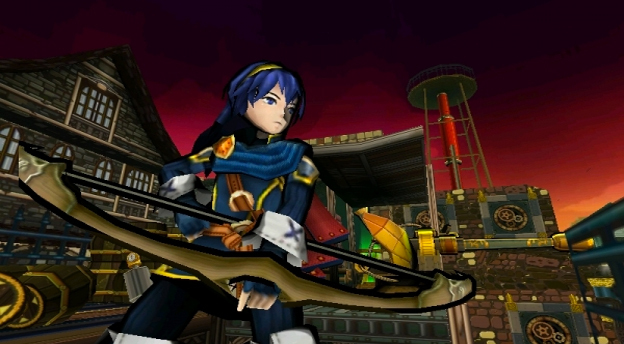 Each character has a set main weapon and a fixed special skill that can be used once per each Campaign map. In addition, new sub weapons and steam tanks unlock as medals and gears are collected. These can be used to customize characters to your liking at the opening of each chapter. Different tanks have different storage and recharge ranks, while various weapons have different strengths, areas of attacks, and steam requirements. A few even heal. Combat is a turn-based system on a grid, with sides taking turns for action and movement. In campaign mode, this leads to some of Code Name: S.T.E.A.M. 's more tedious elements. Enemies take a long time to move, because they're moving in real time when it's their turn. At the start of a match, I almost recommend having a mobile game pulled up on your phone to play between turns. It really does take that long. At least the maps often have a handful of one-time-use save poles on them. Those come in handy when it feels as though you've been playing forever and really need a break. Once your turn begins, however, Code Name: S.T.E.A.M. can be a pleasure to play. The controls are tight, you can really see how each weapon has its own levels of accuracy and range, and the cover-based system works great when attempting to outwit opponents to catch their weak spots. I especially like how realistic it can be, as you do have to seek out the most strategic spots to find the best views of the battlefield. This realism is a nice contrast to the silly nature of many characters. Especially wonderful is the overwatch system. The HUD shows how much steam power is needed for weapon attacks. Some weapons have the ability to go into overwatch. Should you leave enough steam unused when a turn ends, that character will then be ready to counter if a foe enters their line of sight during the enemy’s movement phase. Leave enough steam and the character will attack multiple times. It’s super effective and adds another layer of strategy to the game. There were a few moments when Code Name: S.T.E.A.M. felt a bit cheap or unfair. One of my clearest memories of this is a bridge map where the team had to revive frozen civilians. There were six, and dang if that fifth one wasn't hidden in the last place I'd think to look. The victim blended in pretty well with the alien's ice, and it didn't seem quite fair to squirrel it away the way one would expect a medal or gear to be. The plus side is that the action buttons and New 3DS XL circle nub really help to get a perfect view of the field. If this does happen, you can find a better vantage point.